I was inspired by this card from Cassie's Sweet Creations post here. This card is to give my father-in-law. 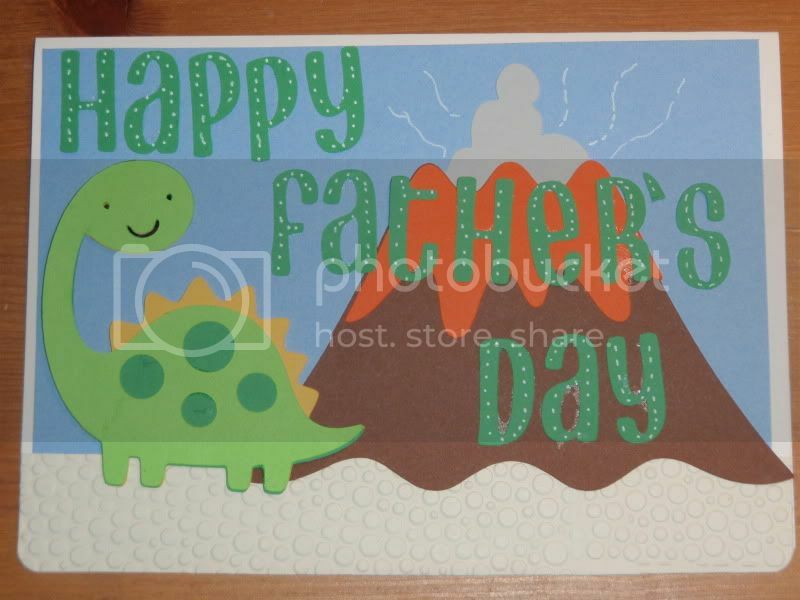 The dinosaur might have been more appropriate for his b-day, but I was in stamping mode back then and don't think my Create a Critter Cartridge had come in the mail yet. - The volcano and dinosaur appear on p. 50 of the Create a Critter booklet. Both are cut at 3".